For older adults, the job market can be unforgiving. Adults in their 50s, 60s, and even 70s can still benefit from working. Many want to continue working, for personal and financial reasons. These older workers are fully capable of contributing to the success of a business but are often stereotyped as being slow, technologically-impaired (or worse), and lacking the energy of younger employees. But recent surveys are telling a very different story. Not surprisingly, employers are starting to recognize older employees for who they really are: experienced, dedicated, and personable. Once an employer starts looking at an older employee in this light, it’s not hard to value everything they have to offer. Who can compete with someone with 40 years’ experience in the work force? Most 50 and 60 year-olds have dealt with just about every type of work situation you can imagine. They have persevered through tough financial times. They have contributed extra during successful times. They have juggled family and work. They have learned to deal with emergencies at home while still performing at the office. Likewise, older adults have weathered bad bosses, vindictive fellow employees and minor scandals. All of this life and work experience makes them ideally suited to help keep businesses and other companies running efficiently and smoothly. Older adults are also more likely to stick with a company. It has become a growing trend for younger employees to move from company to company—a practice unheard of 40 years ago. Part of this is the fallout from an unstable economy which has forced younger workers to seek out better pay and better working conditions in other companies. But it is also a conscious choice for many who find it exciting to jump ship every 12 months to try something new and different. 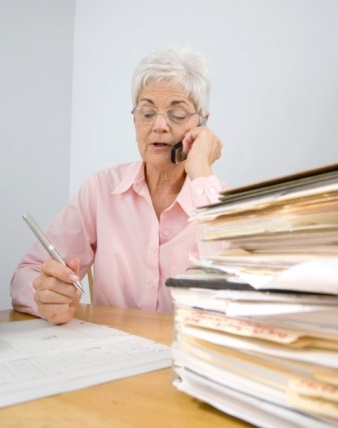 Older workers tend to be less interested in this pursuit of the elusive perfect job. They are more content to give their current employer the benefit of the doubt and work to resolve issues rather than running away from them. Older employees have also been cited for their respectful manner. They often defer to the person in charge, having a sense of the complicated nature of being in a leadership role. Many younger employees are quick to criticize from the sidelines—a trait not often carried over into middle age. Older workers also bring a whole host of professional experiences and skills to the table when hired by a company. And in terms of pay, they don’t necessarily expect their yearly salary to reflect their experience. Recent reports suggest that older adults may represent an amazing untapped resource when it comes to hiring new employees. What is one area where older workers seem to be flourishing? Jobs that involve regular customer interaction. Research has shown that older adults are good at conversing and empathizing with clients. They know how to build a relationship and mentor that relationship into something that lasts long term. Getting customers onboard and keeping them there is one of the best ways to ensure a successful business. If you’re an older employee, remind yourself of the skills and experience that you have to offer. Don’t ever let anyone slot you into a stereotype of being too old to contribute anything of value. Sedensky, M., “Some employers see perks of hiring older applicants; cite experience, dedication,” CTV News Health web site, Sept. 13, 2013; http://www.ctvnews.ca/business/some-employers-see-perks-of-hiring-older-applicants-cite-experience-dedication-1.1453353, last accessed Oct. 8, 2013. Timmons, J.C., et al., “Retaining the older workforce: social policy considerations for the universally designed workplace.” J Aging Soc Policy. April 2011; 23(2): 119-40.